If you are looking for the ultimate crossbow kit, then look no further! 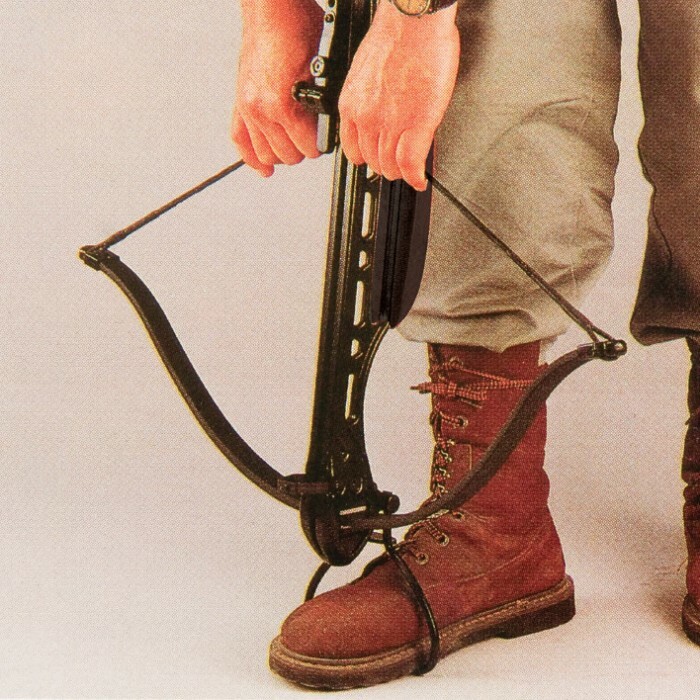 We have put together the perfect crossbow kit, whether you are a seasoned pro or a beginner. This Avalanche tactical crossbow features a black synthetic stock and fiberglass limbs that offer pure performance. The 11” power stroke with a 150-lb. draw weight delivers arrow speeds of up to 210 FPS with a 14” aluminum arrow. Hit your target with precision accuracy using the built-in adjustable sights. It even offers a mounting rail for adding our Leapers 4x32 Crossbow scope, perfect for short to medium-range shooting. The fixed 4X power scope offers just enough zoom for fast target acquisition, and the 5-step dual illumination reticle makes shooting at different ranges a breeze. Each scope offers flip-open lens caps, accushot mounting rings and an integral sunshade. The parallax is adjusted at 50 yards. Throw in a pack of 15” aluminum arrows with field tips, and you’re all set to go! 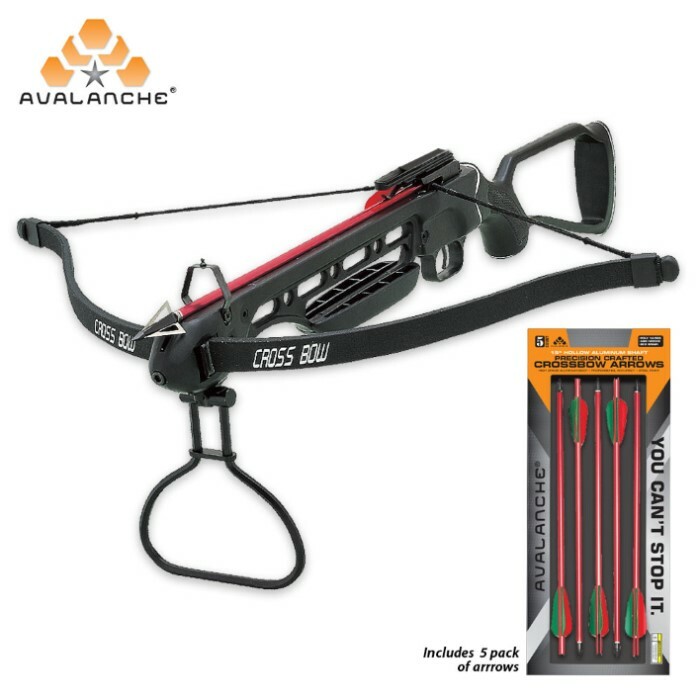 You can’t go wrong with Avalanche crossbows!